Playwright Marsha Norman will be at Rollins Friday as part of the Winter Park Institute — participating on a panel on the arts and social responsibility and also talking about her life as a playwright. Former U.S. 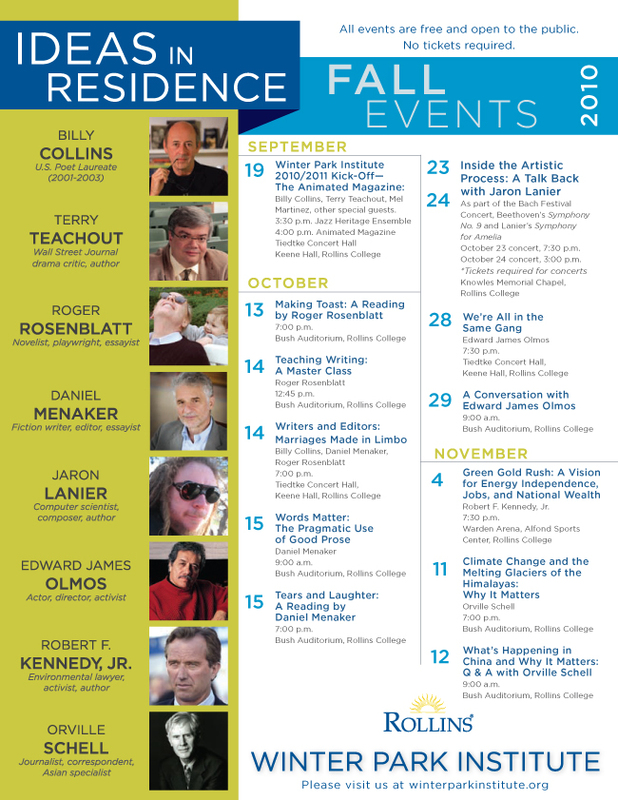 Poet Laureate Billy Collins and award-winning cartoonist and screenwriter Jules Feiffer also will be there. Playwright Marsha Norman (‘night, Mother, The Secret Garden) will be at Rollins later this month to talk about a topic that sounds provocative — the arts and social responsibility. She’ll be talking with cartoonist Jules Feiffer and former U.S. Poet Laureate Billy Collins on March 26. Here’s a link to the flier — Symposium_3-3_highRES — and I’m sure I’ll have more information when the date gets closer.